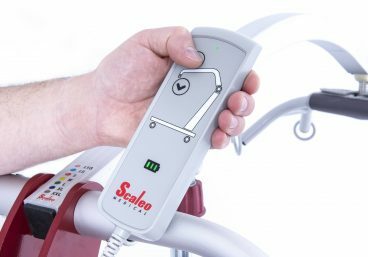 The Stabila shower trolley is a high quality, high performance care solution, for safe, easy and efficient transfers, showering and hygiene procedures. 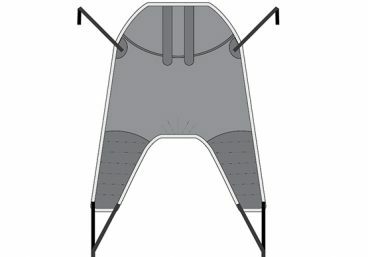 Available in over 50 unique configurations, the Stabila can be tailored to meet paediatric, adult and plus size needs. 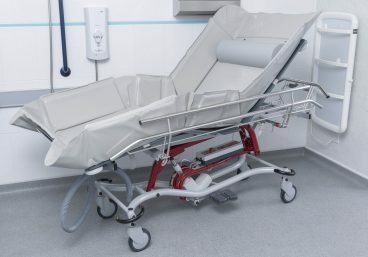 A choice of manual or electric height-adjustment controls that provide an ergonomic working environment for the carer, and allow for a range of transfers, including from a bed. 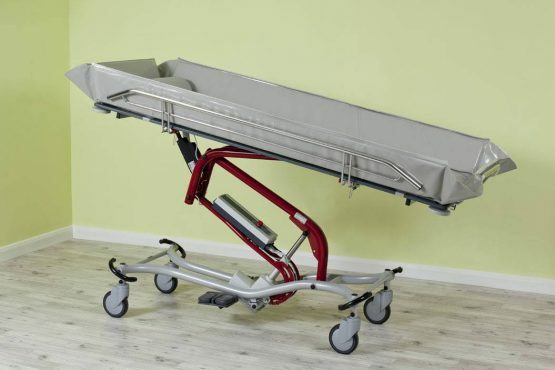 Retractable side rails allow for ease and safety of transfer. 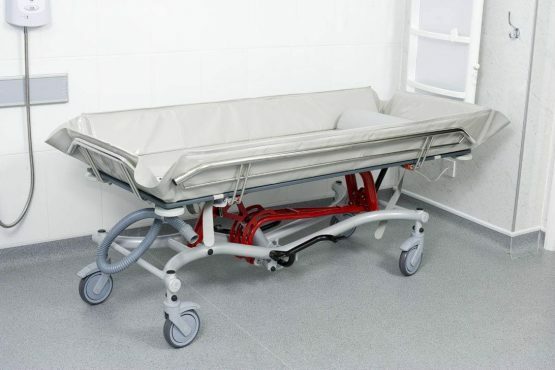 Anti-Trendelenburg (tilt) function provides greater comfort for the user and allows easy drainage. 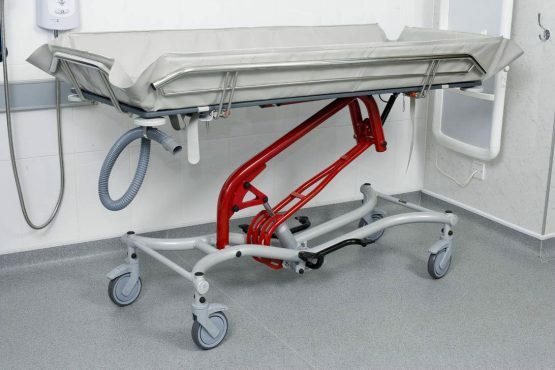 This high performance mobile shower/ hygiene trolley is suitable for a range of care environments, including care homes, hospitals, schools and service users’ homes. 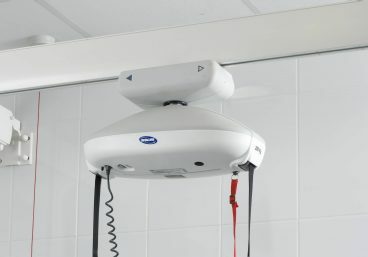 It’s an ideal solution for the elderly, disabled, or anyone with reduced mobility, who is unable to shower themselves. 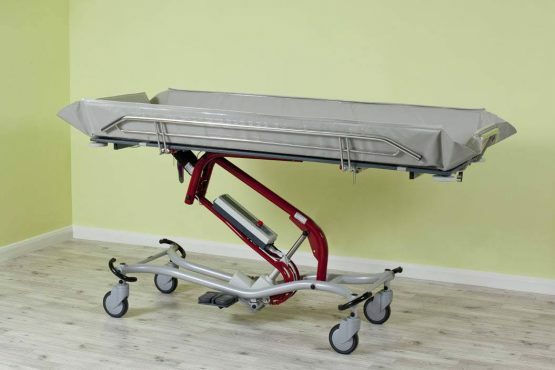 It’s highly manoeuvrable, making transfers from a bed to shower easier than ever before. 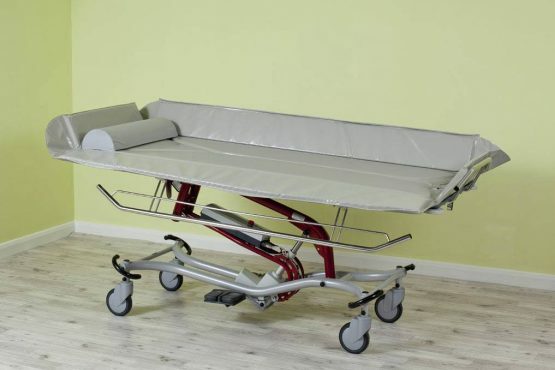 The Stabila Shower Trolley is available in over 50 unique configurations and can be tailored to meet paediatric, adult and plus size needs. An adjustable backrest is available for additional support. 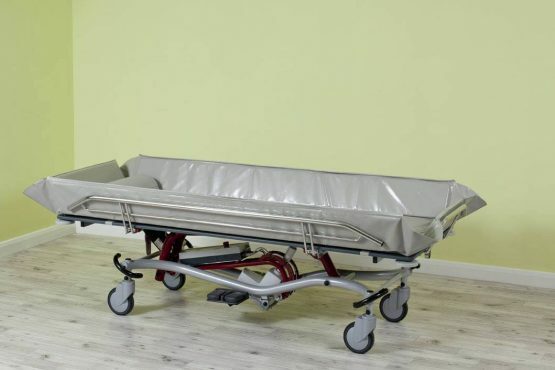 Very robust construction and premium quality components for a long working life. 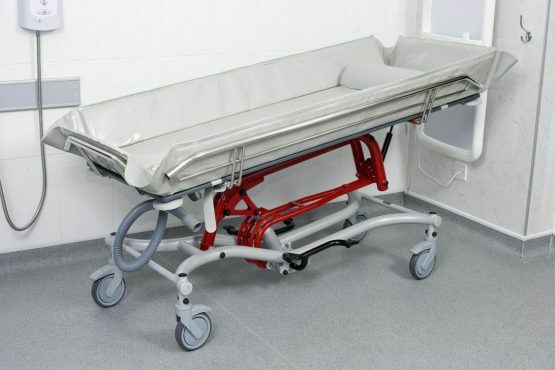 A full length padded lying surface that includes drainage channels. 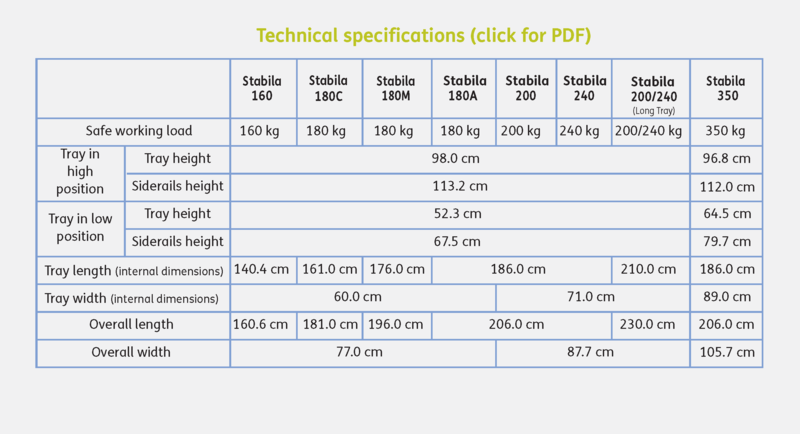 Directional locking on castors to make manoeuvring easier. Protection bumpers at all four corners. Advanced anti-corrosion treatment to the steel frame for heavy use in wet environments.